Is Investfly exactly the right choice for you? After reading this interview with Mr. Atreya, you will know this for sure! Question: Mr. Atreya, first of all, thanks a lot for being ready to answer these questions my readers and me are interested in! Could you, please, start with telling us a little bit more about yourself? Answer: ​Investfly was founded two years ago with a mission to enable stock traders to leverage technology to make trading decisions. In particular, we wanted to focus on automated trading. Over 75% of the trades in the stock market today are generated from some sort of computerized trading system. These automated trades are mostly submitted by large institutions and funds. However such technology is still far from becoming mainstream among individual traders. 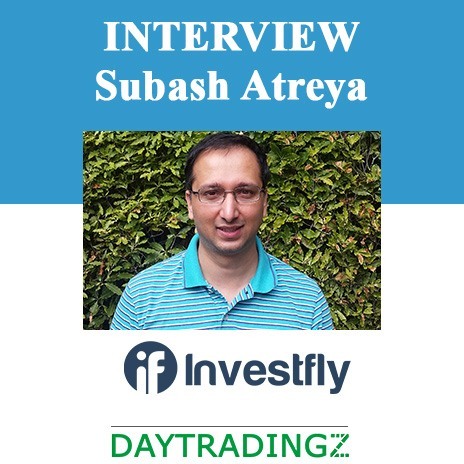 Investfly aims to provide automation tools with the same level of sophistication to individual traders. Our company is headquartered in Silicon Valley, California. We are a quite small and agile company. Question: Which kinds of products and services does Investfly offer? Answer: Investfly offers a point-and-click solution for automating stock trades. Investfly users can use our platform to define rule-based triggers for buying and selling stocks. For advanced users, it provides a way to build a fully automated trading system which will buy and sell stocks based on criteria defined by the user. Those trading system can be back-tested with historical data or deployed in virtual or live mode with connected brokerage account. 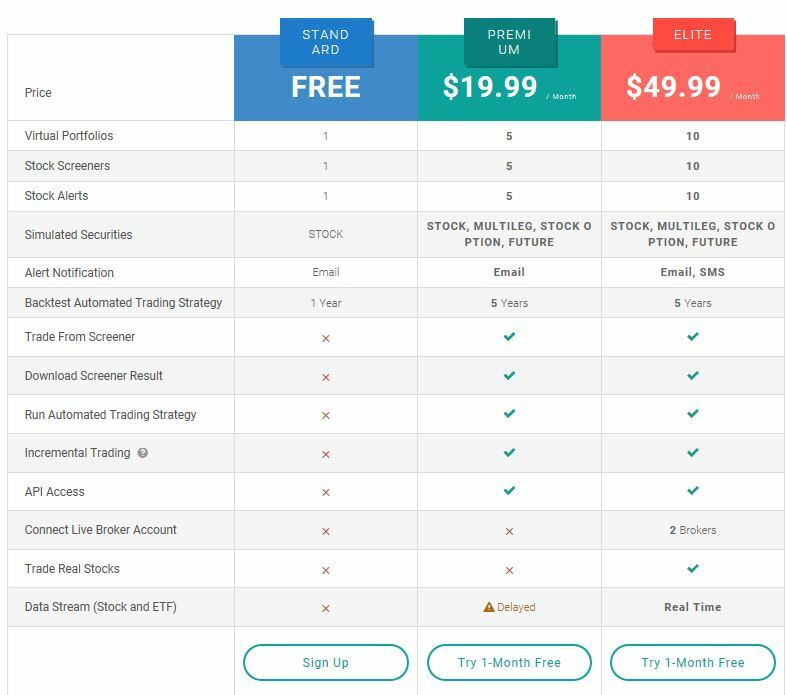 We also host a vibrant community with many users who publicize their automated trading strategies. These strategies can be cloned so new users don’t need to start from scratch. 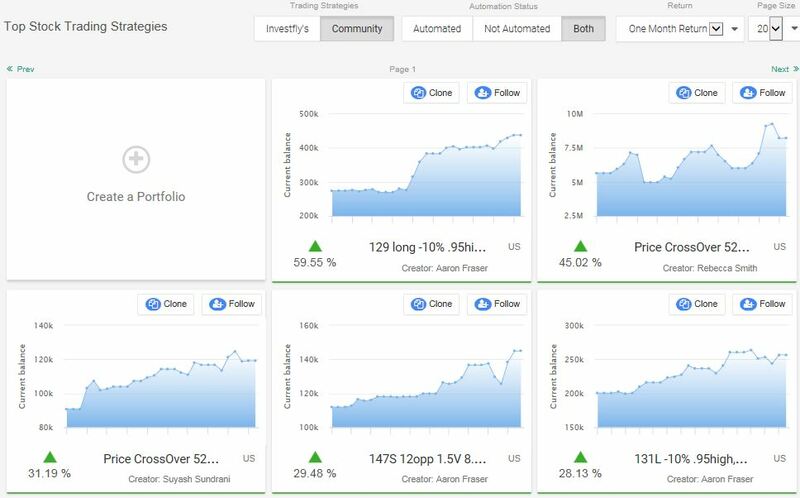 Click here to view some of the top performing strategies created by our users. Question: How much will it cost your customers to use your products and services? Question: What is the difference between Investfly and the competitors on the market? Answer: Investfly does not have direct competitors who offer exactly the same product as ours. Some companies like Quantopian allow users to build automated strategy by writing code. Investfly is different because users don’t need to learn programming to build simple strategies. Other companies like Cooltrade offer point and click solution, but their software must be downloaded and kept running at all times. Investfly is cloud-based solution so users don’t have to download or run anything. Question: What do your customers appreciate most of all? Answer: Our users really like the intuitive user interface Investfly provides. Most software that support automated trading system are too complicated for new users to understand. The learning curve is too high. For those that require writing code, learning programming is usually the biggest challenge. Investfly makes building automated trading strategy as easy as clicking few links in the UI. Our users are very pleased with the flexibility and the simplicity that our product offers. Question: Which reasons should encourage the readers to become a customer of Investfly right now? Answer: Investfly’s mission has always been to empower individual stock traders to utilize technology to make better investment decision. There is no debate that utilizing large dataset for investment yields better returns than using more traditional approaches. By properly using Investfly’s powerful automation tools, users can generate a far better returns than otherwise. Question: Who is able to become your customer? Answer: Users can fill out a short registration form or use their Facebook account to create a free account with Investfly. The free account provides access to limited features on our platform. Users can upgrade anytime to paid account. Question: In your personal opinion, what do you see as the most important changes in the financial markets during the last years? What changed into the better and where do you still see an urgent need for action? Answer: One area that has improved a lot in the last few years is data science and big data analytics. Market and financial data is more accessible now than ever before. With more data, there is now a need for systems to analyze and make decisions based on data. Investfly tries to fill in that gap for stock traders. Question: Do you have any special offer for my readers? ​Mr. Atreya, thanks a lot for taking the time to answer our questions. All my very best wishes for your business and for your personal life!